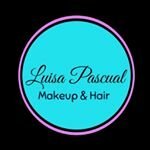 Cristiana gracias a Dios,Mom,wife of 👨🏽‍🦲maravilloso, ❤️mi tribu,🇩🇴 certificate MUA, hairstylist, viste @artbyluisapascual? I can find everything I’m looking for. Good price, big store. A lot of items, and variety. Perfect for pasta, spaghetti or penne. With some Parmesan cheese is amazing combination. My husband prefer café ínstelo. In my own opinion is too strong and black but I like with milk or creamer. Very good for fries, tostones , sandwich. The flavor is really good no too sweet no sour. This mayo add a special flavor for sandwich and salad. I have in my refrigerator always. The most special ice cream , is like reward for weekends. Delicious, I little bit expensive but is really good. I love this ! I use for my favorite cheesecake recipe. My kids really enjoy snack with strawberry preserves. I’m a makeup artist and I work with many skin type. This micrllar water help me to clean and refreshing my client skin. I don’t need to be concern about an allergic reactions. So easy to use! Like cleanser, moisturizer and mask. This really works for my skin, I s not oily. Good price and you can get it in the pharmacy.